employees who enjoy and like the environments they are a part of end up being more engaged, productive, happy, and healthy. As you plan for a new or refreshed office design to spruce up your workplace, you could get some inspiration from these trends that are seen to dominate in 2018. Dynamic office spaces are still hot, now that more and more companies are integrating flexible work areas in their office layout. Minimal restrictions are the distinguishing feature of this type of office design, where employees can suit themselves as to where or how they want to work. In this office set-up, furniture can be moved or rearranged easily. This is very appealing for employees as they don’t have to be confined in traditional work stations. You could have office couches that can sit employees working on their laptops, as an example. Biophilic pertains to the love of life and the living world (derived from the word “biophilia”), particularly elements commonly found in nature. The biophilic design thus uses nature as a backdrop where nature-inspired patterns, forms, and components make up the overall look and feel of your office. This is especially helpful if you’re located in areas where access to nature is not readily available. A biophilic office design might include glass panels to let more natural light in; artificial or natural plants to bring out a sense of calm, focus, and energy; or natural colors and patterns to mimic the outside world and bring it into the office setting. No doubt, technology is a driving force that changes the way people and businesses operate. With a technologically enabled office setup, your employees can work smarter and faster, both of which are equally beneficial for your business. As you integrate technology into your office design, make sure you include screens for presentations, video conferencing capabilities, wireless charging ports, smartboards, data sharing, and similar conveniences. The key is for you to use technology to help your employees address potential issues related to collaboration, communication, project management, and other critical business areas. 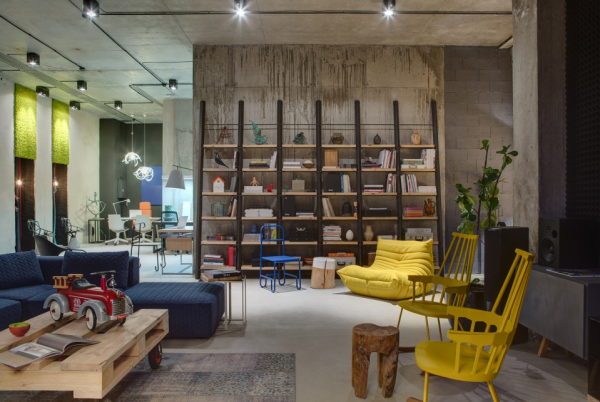 The home-away-from-home concept is basically what this office design idea is all about. If you want your office to feel homey for your employees, infuse homely aspects into the workplace. Have a sleeping area, bar, lounge, TV or gaming room — you can be as quirky as you want! Adding all the homey feels is meant to create a work environment that combines a good balance of comfort and functionality. 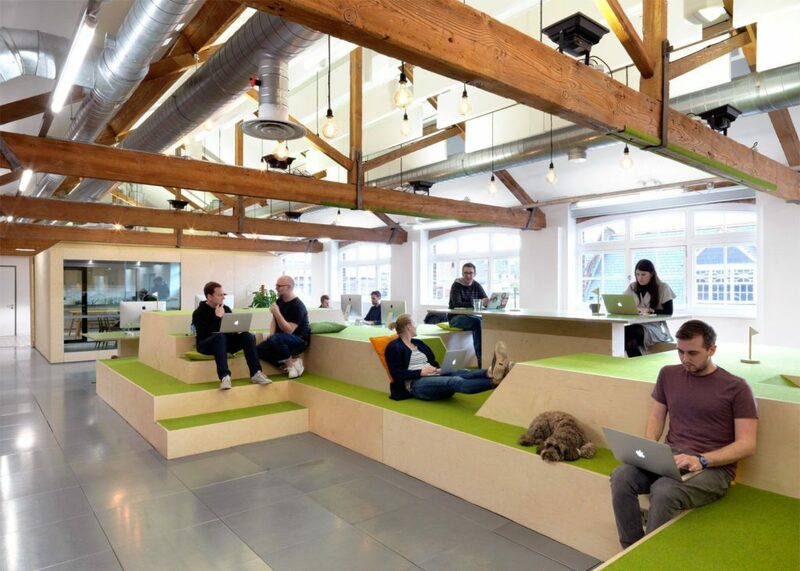 It will be an unconventional workplace your employees would love to go to every day! 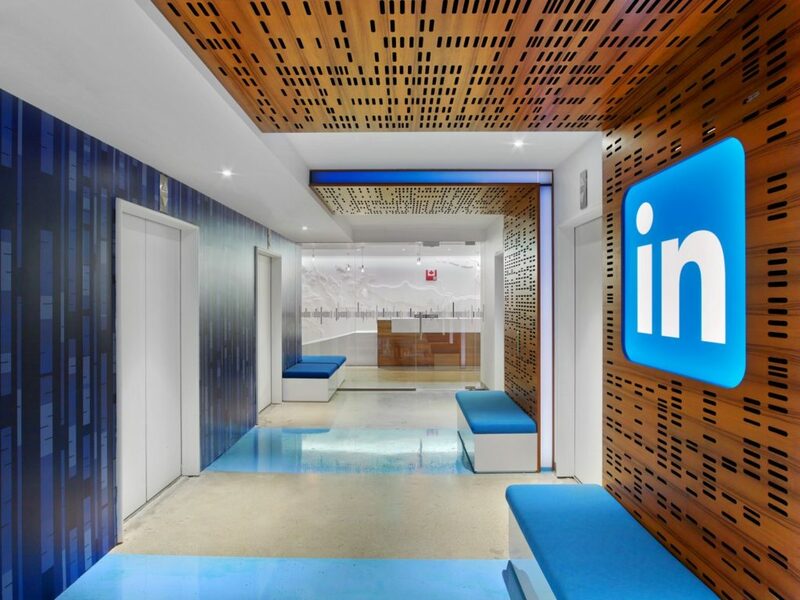 This office design will be welcomed by millennials who make up a large number of the current workforce. 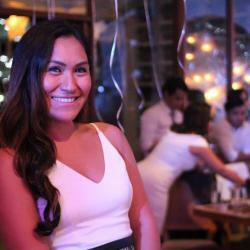 As a group, millennials share the propensity for an out-of-the-box work setup that could go from a living room type of space for collaboration to a casual meeting room with bean bags propped on the floor or a meditation room where employees can retreat when too much office stuff bogs them down. It’s equally important for millennials to be able to form social circles within the office, and having more open spaces makes it easy to bring everyone together either for friendly or professional interactions. 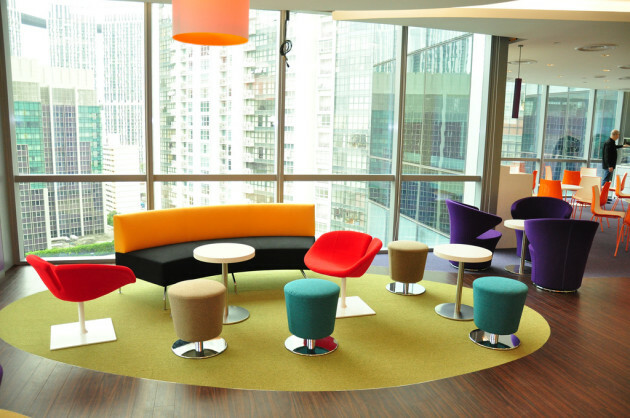 Collaborative spaces are yet another office design driven by millennials. Millennial employees tend to move away from their desks and prefer to converge in communal areas for brainstorming sessions or for less formal meetings. 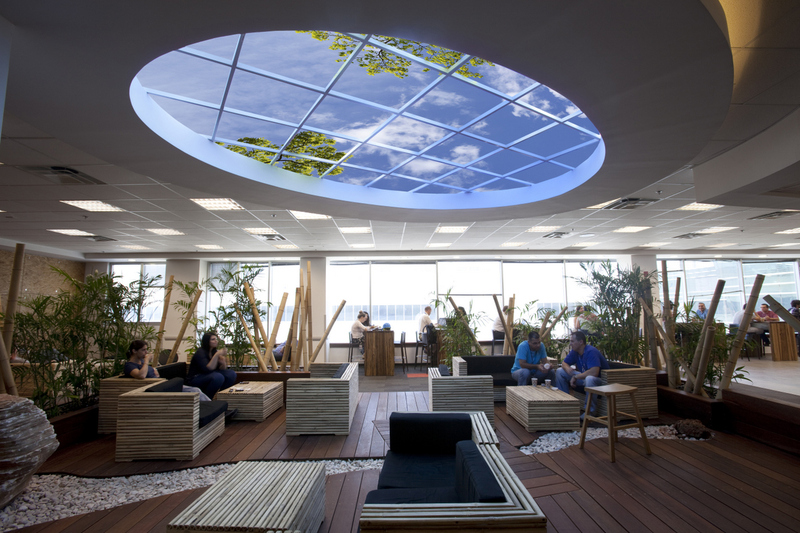 They prefer an office design that encourages collaboration, learning and strong culture. Meeting spaces also no longer need to be encased in glass doors as it’s important for office areas to be convertible (e.g. a meeting room to breakout or quiet nooks) enabling offices to make good use of space. Despite the popularity of open spaces and flexible layouts, there’s still a compelling reason not to drop private spaces in offices altogether. If you should enclose some part of your floor plan, you could do away with traditional dividers or booths and instead go for more semi-enclosed settings that still let your employees work with as little distraction as possible. You could even greenify your office through stand-alone, makeshift green walls that work just like regular dividers too, but with a more ecological and fluid touch to it. This design concept is based on the idea that companies have a story to tell, and the way you construct your building or facilities can help you share that story to inspire your employees or the community. Your office architecture could be representative of your company’s humble beginnings or core principles – expressed in the fabric of your office furnishings, color palettes, imagery, and other design elements used in your work environment. Which Office Design Trend Should You Go For? Don’t just settle for aesthetics. 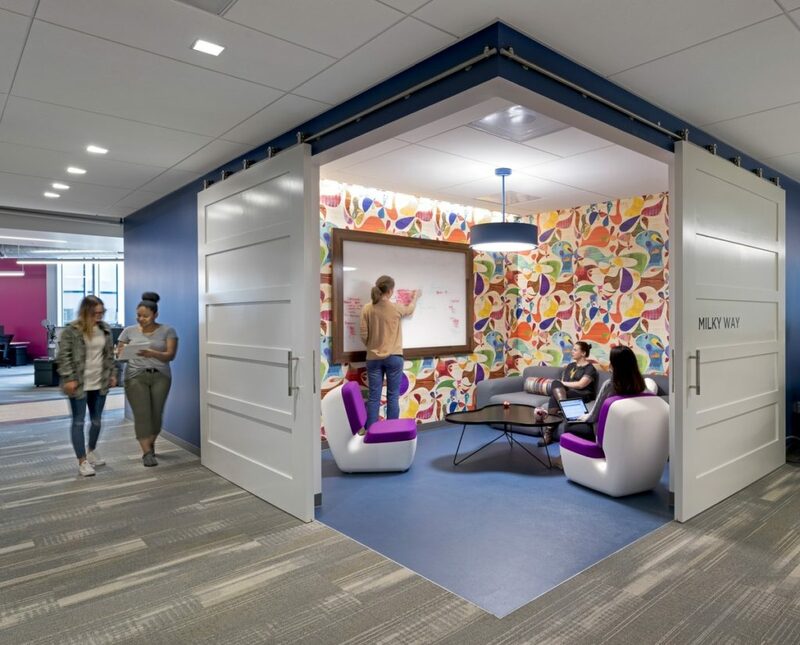 While you might think an aesthetically designed workplace can motivate your employees to no end, the truth is it’s not the be-all and end-all of employee productivity or employee happiness. Take time to reflect on the kind of culture, values, talent, and processes that defines your organization and incorporate these factors into the overall look of your office. Go for flexibility in employee and organizational levels. With an increasing shift toward flexible working conditions, you could focus on utilizing your office space to serve both the needs of your employees and your company. For your employees, having flexible working areas means they can easily move into a spot that supports the type of activity or task – whether it’s something that involves collaboration or isolation – they’ll be doing at any given day. For your organization, a flexible office design means carefully choosing your furniture, equipment, and technology to help your company suit up for potential changes in business units, priorities, or strategies as well as staffing needs. Work with experts. Figari’s Design & Fit-Out principles are based on the premise that office design complements staff productivity and a successful workplace culture. Our services are highly personalized and reliable as we envision our partnership to bring office innovation at its finest. Some great ideas! However, I feel some of these concepts are very limited to the type of business and office environment you have. I would love to know which ideas I could successfully implement in a real estate office where workers need permanent files and areas to meet with clients. 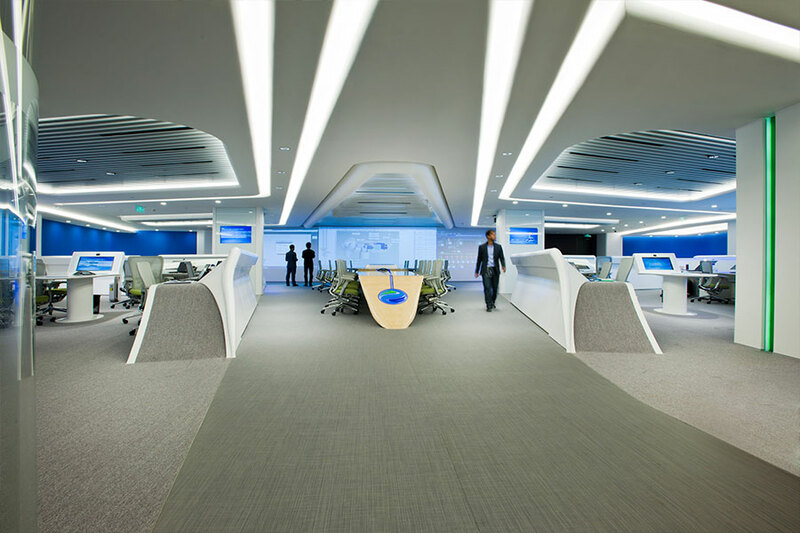 I think the collaborative meeting spaces, particularly the one featured, would be awesome! Hi Brody. My firm Seed Branding Agency specializes in branded workspaces and in particular we’ve remotely designed dozens of Keller Williams Mark Centers. We’ve found that by offering several small meeting rooms for client visits that agents can take advantage of… the agents are then free to take a smaller work space or assigned desk. Offering even more flexible options to the agent (private call/web meeting rooms, sit-stand desks.. even lounge areas and coffee bars) helps compensate for the disadvantages of having a desk out in the open. In the end, this model saves both the agent and the broker money.